Garopaba is a town on the South coast of the state of Santa Catarina in Brazil. 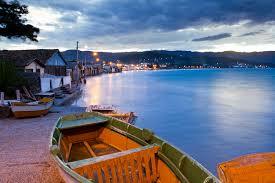 Before being discovered by tourists, Garopaba was a small fishing village. the old city of Garopaba, a fishing village, built in “good old times” style, in contrast to the green and modern buildings in SC. Garopaba beach offers varieties of hotels, hostels, campsites, bars and restaurants to suit all tastes. The Siriu beach is located at 9 km north of Garopaba. Lonely and virgin, surrounded by dunes up to 40 meters high, it offers excellent opportunities in surfing. 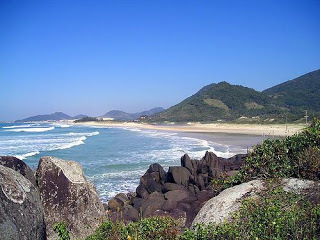 Silveira beach is very popular among lovers of surfing and nature. It has been growing rapidly for the last decade and believed to be a paradise for surfers. The beach is located 5 km from the center of Garopaba, has beautiful scenery, contrasting with the modern guest houses and the rustic dwellings of the natives. The Beach of Rust is full of life 24 hours a day. You will enjoy there one of the most spectacular sunsets in Santa Catarina coast. Separated from Rust beach by a canal and a small hill, Barra is secluded and very quiet, perfect for those who want to relax. It is one of the most reserved places of Garopaba. From there, the tourist follow by a two kilometers track to reach the Ouvidor beach. This small beach is considered by many people a paradise. It is surrounded by palm trees and virgin forest, underlined with white sand and transparent water. This beach has no infrastructure and is well isolated from civilization. It is known worldwide as one of the 30 most beautiful bays in the world. It is also considered by Next Travel, as one of the 10 most beautiful beaches in Brazil. The beach is situated in 80 kilometers south of Florianópolis, it is seven kilometers long, and is surrounded by a wonderful green trees, flowers, cactuses and mountains. It is perfect place for surfing, windsurfing, jet skiing, fishing, horseback riding and trekkin. This beach is a place for those seeking peace. 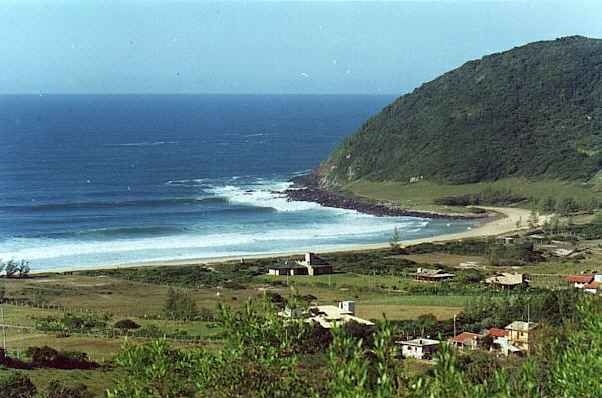 Located in the city of Imbituba, this is a good place for windsurfing and kitsurfing. The corner of Praia da Vila (Vila beach) is one of the most famous places in the surfing world. The beach is the only one in Latin America that hosts the World Surfing Championship (WCT). The Vila Beach is located in the center of Imbituba and has a stunning visual landscape defined by the shore and the islands. The beach is great for fishing and whale watching as close as 20 meters from the beach. The water here is calm and perfect for fishing. Ideal for those seeking peace and quiet. Praia da Pinheira offers varieties of attractions, from eco-tours (walking through deserted beaches) to buying fresh fish from local fishermen. Gamboa beach is perfect for those who enjoy walking and exploring the nature. It is 2 km long and is followed by beach Embaú Guard.